And here we go, another transfer getting going! I am exhausted. This was probably one of the most tiring weeks to date in my mission. We had a great time with all of the new missionaries this week. Six new missionaries arrived, 4 from the US, and two from Mexico. All of them are great missionaries! I was impressed by their spirit and excitement to serve. On Thursday, we had Mission Council with all of the leaders from the mission. That was a crazy day. We usually get to the council, give some announcements from the office, and then during the meeting, Elder Llanos and I take all of the suitcases that the zone leaders brought and take them back to the office and fill them with proselyting materials (Book of Mormon, pamphlets, pass along cards, etc.) to take back to their zones. I will tell you, loading up a pickup truck with boxes of copies of the Book of Mormon is a pretty good work out. 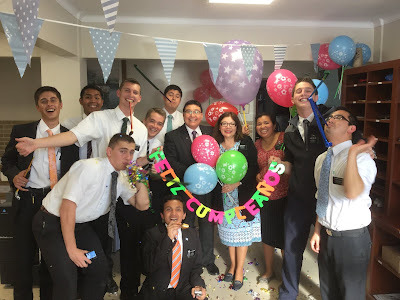 :) We headed back to the meeting and helped get everything organized, and then Elder Llanos and I left directly from the meeting to go on a road trip! We had to do some paperwork in the electric corporation in Concordia that we had to do in person. We left at about 7 in the evening Thursday, and then arrived at a hotel at about 11 that night. We woke up early in the morning, got ready, did a little bit of scripture study, ate breakfast, and then headed straight to the corporation. We were there for about 2 hours, doing paperwork, getting information, and paying electricity bills. We finally finished everything up, and went and left some things for missionaries in Concordia, and then left Concordia, and headed straight for a little town called Hernandarias, way back on the other side of Entre Rios in the La Paz zone. 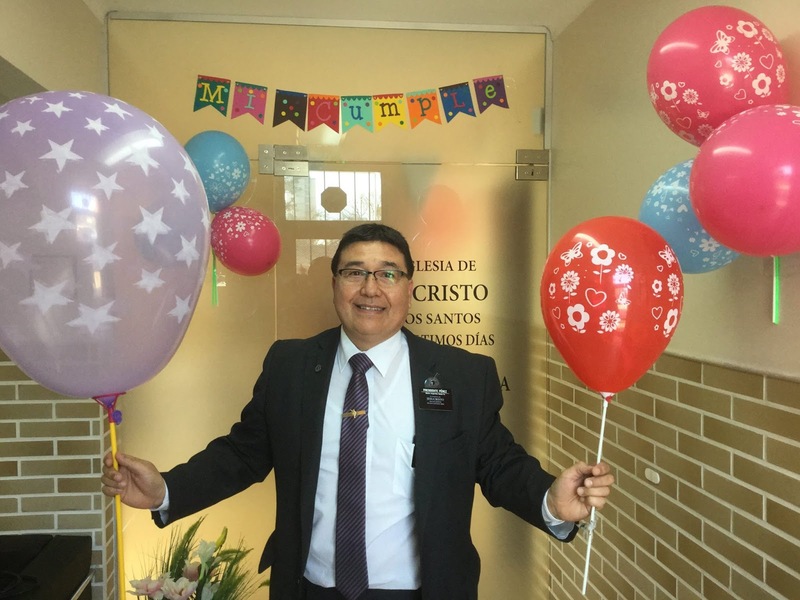 It's currently part of the Santa Elena branch, but it looks like we might be opening up a new branch of the church in Hernandarias, because there are about 10 members there who travel 60 km every Sunday to go to church in Santa Elena. 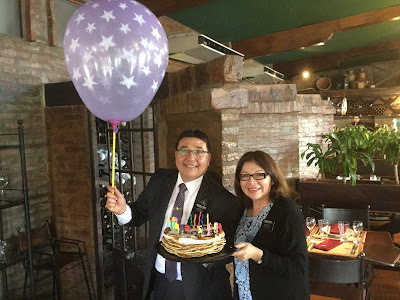 So Elder Llanos and I went to look for a building to rent for Sunday meetings, as well as a pension for missionaries, as we hope to open a new area in Hernandarias the next transfer. It is the most beautiful little town I have ever seen in my time in Argentina! When we arrived, we couldn't believe how clean, organized, and peaceful it was. It's right on the Paraná River, with a spectacular view, and there are trees and well kept grass everywhere. It was awesome. We finally finished up looking for buildings in Hernandarias at about 7:30 that evening, and then made the trip back to Santa Fe, getting back at about 9:30. It was definitely a long journey, and we were super tired, but it was pretty cool to get to know some other parts of the mission. Now, GENERAL CONFERENCE! It is absolutely a privilege to hear and learn from the men chosen by God to lead us in His church. They are inspired, I am 100% convinced. They speak the words of Christ, and they are the words that He wants us to hear. I have never felt so inspired and taught by the Spirit as I have in this past conference. I know that prayer is real. I loved the messages that talked about the power of prayer. As we speak, talk, and counsel with our Heavenly Father, and then listen to His responses, we learn, grown, and progress. We never have to wonder what to do, where to go, or what to say. We never have to feel alone, and that is true in every sense of the promise. I have never felt more loved and befriended in my life, than when I pray with real intent and listen to what my Heavenly Father has to say to me. I also loved the focus on missionary work (maybe because I'm a missionary, but that's ok). The basic doctrines of the gospel are crucial to our testimonies, and we are so blessed to have them in our lives. These basic doctrines, faith, prayer, the plan of salvation, the Book of Mormon, etc. are not only meant to bless us. They are meant for everyone! And it is our job to let everyone know about it! We cannot sit idly by, because there are people waiting, and we do not know who they are. Only God does. As we pray to Him, and ask Him for His direction, He will lead us to those who are waiting. All of the gringos ready for conference! Our investigator came to priesthood session, and loved it! Got to see Elder Clayton at consejo! On our way to Hernandarias, we passed through this little town that said it was the national rice capital, so of course we had to take a picture at their rice museum! Especially since Elder Llanos is from Peru, and he love rice.